The foodward association is not only a long time client of our but a partner. 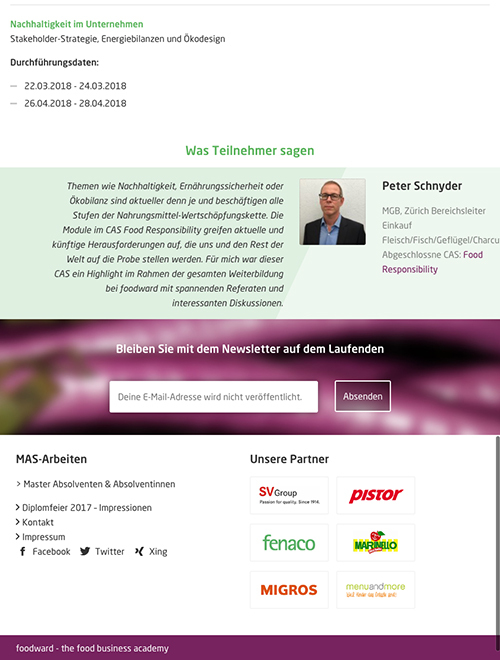 Together we run the job board foodwardjobs.ch “The Food Managers’ Job Market” where people find jobs in the food industry. 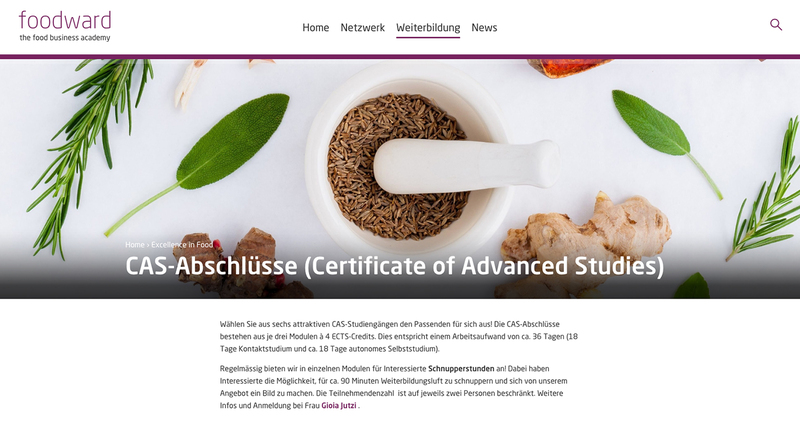 This was the second time we have worked on a redesign of the website. This time we focused mainly on the user journeys to bring the visitors quickly and easily to their goal of getting information on the MAS or CAS and signing up. Additionally, we customized WordPress to fit the needs of the content managers so that their workflow is as simple and efficient as possible. 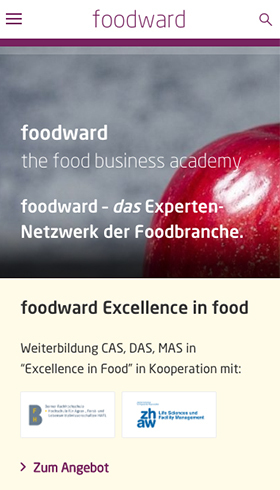 foodward can now manage all of their dates for their courses and seminars from one central place. 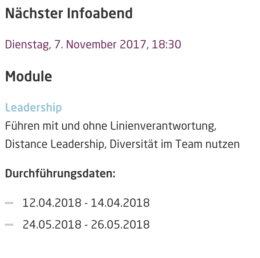 The dates are not just shown on the homepage but also shown on the respective course pages (CAS/Modules). 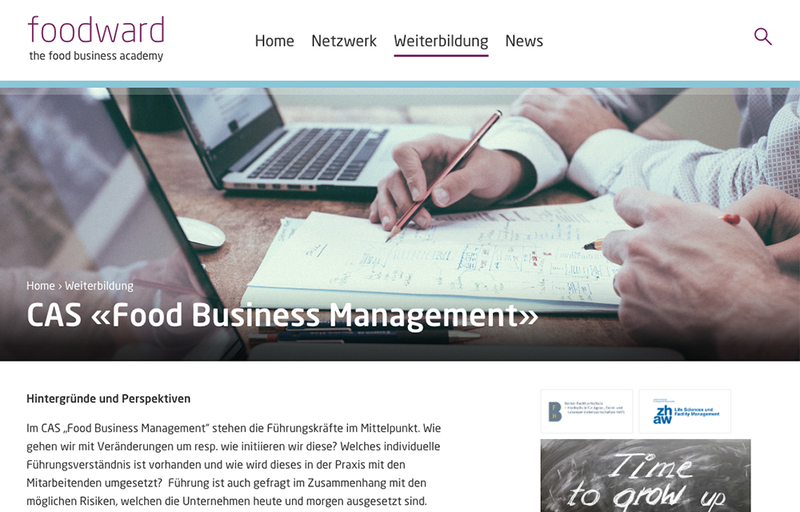 Now, foodward does not need to worry about updating their site every time an event has passed as the website automatically hides any past events. So that the lecturers could be managed from a central place we created a new custom people’s feature where all of the data on the single people could be entered. The lecturers could then be connected to their respective courses. This allowed us to give the visitors and a good overview of the lecturers on the courses.